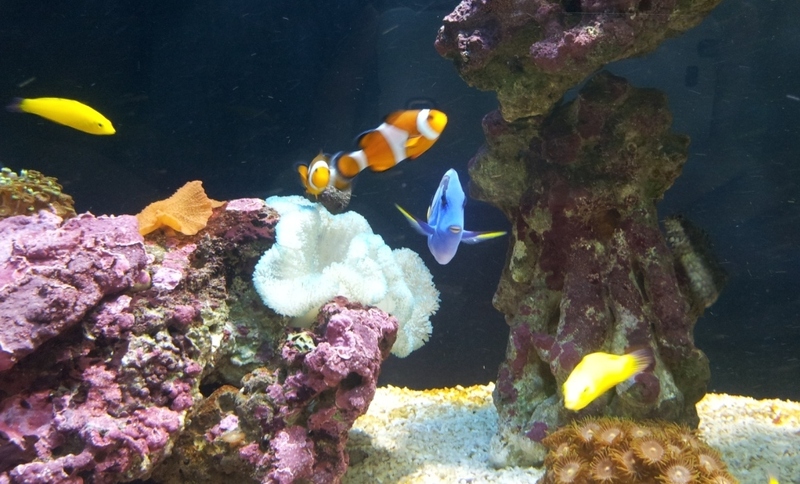 We have a marine aquarium in our office. Every fortnight or so, there will be this guy (sub-con by the company) that comes and clean the tank. The permanent resident in this tank is Dory and Nemo. We have at least 3-4 of them each at all times. A big hit with most of our visitors. Besides cleaning it, he will also replace some of the fish (We suspect he brings them and rotate them between all the different tanks which he maintain) and replace it with some other species. So, it’s always interesting to find the new fish he introduce to the tank. It has become a habit for us to try and spot them. I couldn’t resist posting about these 2 as they look amazing. Look at this little guy’s eye lashes !!! Girls would kill to have such long and curvy ones. 🙂 The eyes are so big and expressive. I guess it’s sort of a compensate for this fellow since the rest of the body is nothing spectacular. 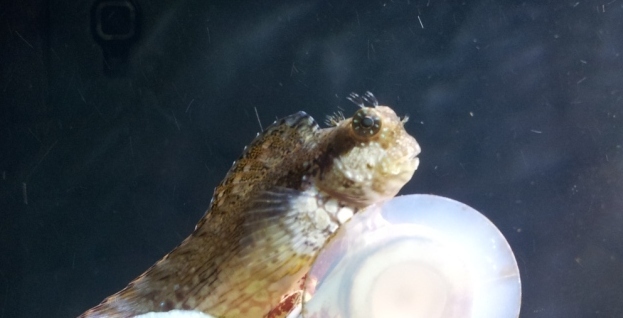 Updated : 24th Aug, this is a blenny. As for the next fellow, it took us quite some time before even realising it was there. I only see it after my colleague pointed it out. Look at it’s beautiful colors and pattern on it’s body. He is quite small. Only about 4-5 cm in length and spend most of it’s time hidden between the corals. It took me quite some time before managing to get a good shot of him. So beautiful, right? Updated : 24th August. This little fellow is a mandarin dragonet.